My name is Kitty, and I spent many years making desserts and having culinary adventures under the name Cake Kitty. This page is for my digital design adventures. I started my artistic career rather young, leading to my first job working in the theater department at my high school and teaching special effects make-up classes to my peers. I’ve built a well rounded visual arts education having worked and studied in the performing arts, applied arts, and culinary arts. I started the transition to digital design during my culinary career to promote my work and business, which lead to me officially pursuing and achieving a degree in Digital Media Arts. 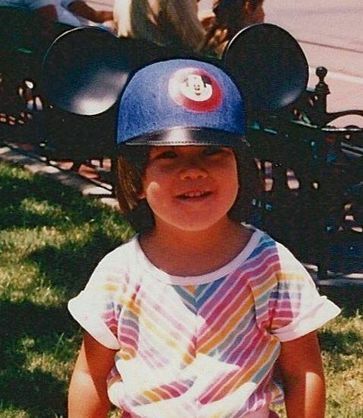 I’ve lived all over the US and traveled all around the world, but I spent most of my youth in Southern California, and Disneyland is my favorite place on Earth. I currently reside in Seattle, and my favorite hobbies are trying new foods, Geocaching, and making silly videos. Yes, but I have a very busy schedule and a small kitchen. I prefer design…it’s less messy. If you have any questions or have a project you think I might be interested in, feel free to contact me.